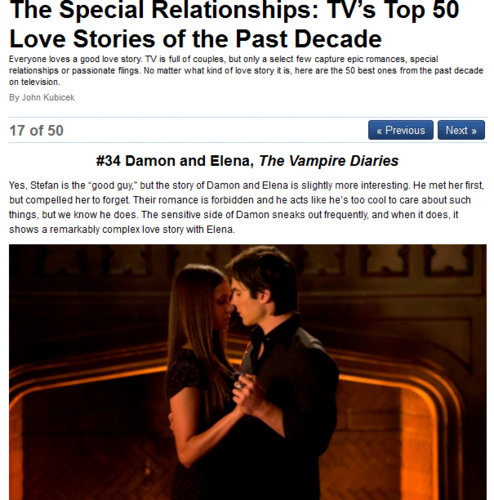 The Special Relationships: TV’s parte superior, arriba 50 amor Stories of the Past Decade. . Wallpaper and background images in the Damon & Elena club tagged: the vampire diaries elena gilbert damon salvatore delena. Slightly better?? 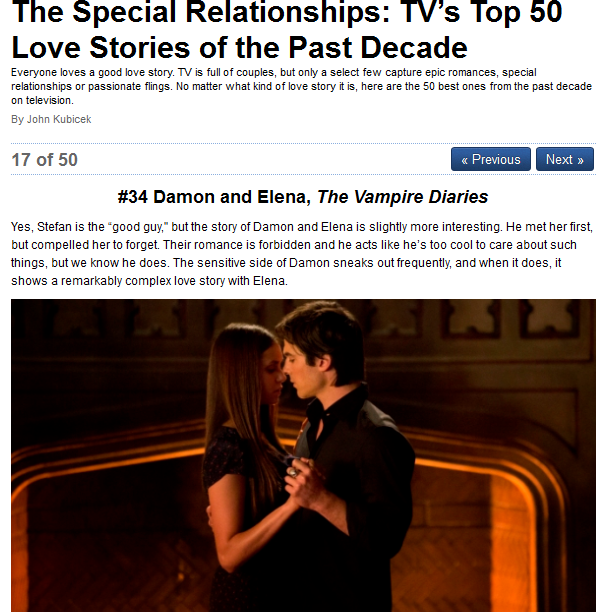 Lol it's far more better..
Was Stelena in their top 50? Lol, I think the words your looking for, is a million times better! Sooooooo much better that it's not even funny!